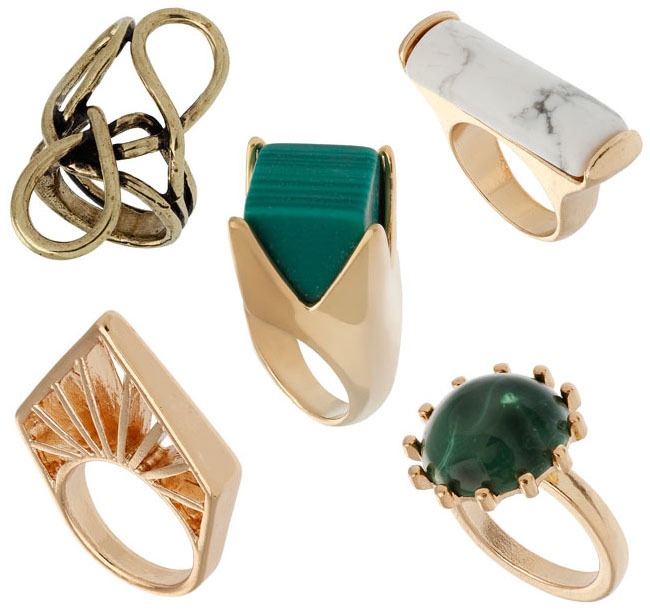 You may be surprised to learn that all of these brilliant statement rings are completey affordable and available on a highstreet near you! Yes, all of these rings are from Topshop! On a recent window-shopping trip to the Topshop website, I was so shocked at how they have upped their game with their online jewellery listings. Previously they had just seemed to list a few standard (aka: nothing special) items of jewellery online, yet the stores were bursting with more interesting items. Well take a look at the jewellery collection now - there are some really interesting pieces that provide Pamela Love / Dannijo type pieces without the designer price tags.